Whether your dream is to be a ticket taker or president of the resort, people from all walks of life dream of being hired for one of the many Disneyland jobs available each year. You will find that many of these positions are a rewarding occupation be it temporary or lifelong. As a kid, who would have ever said no to working at Disneyland? This is, after all, the place where dreams come true and everything is idealistic. The Happiest Place on Earth, right? Depends upon who you talk to. There are generous numbers of individuals in the world who have spent many a summer working at Disneyland, and an equally generous number for the love/hate teams when it comes to how they feel about the resort now. However, all agree that working at the parks can be a valuable learning experience and sometimes a lot of fun where you get to work "behind the magic" and make lifelong friends. Like any large-scale company, Disneyland employees deal with gossip, frustrations and disagreements. But they also get to spend all day out in front of a fantasy world, making guests happy and watching imagination come to life. If you feel your skin is thick enough to work with multiple members of the general public from all around the world, then read on to determine which Disneyland job position would work out best for you. The attractions department is responsible for the rides found throughout the Disneyland Resort. These employees are responsible for greeting guests when they approach an attraction, loading and unloading each ride car, operating the systems, and bringing an overall happy ambiance (except at the Haunted Mansion, where spooky is preferred) to their assigned area. Some attractions jobs are known for being more enjoyable than others - the Jungle Cruise skippers, for example, have an ongoing narration full of puns and corny jokes, so the more animated, outgoing cast members usually land that job. The same is true for the Haunted Mansion and Storybook Canal Boats, both of which depend upon the personality of the cast members. Are you good at math and enjoy working with money? The cash management team verifies money that comes into the resort, including counting, processing and distributing money and credit card transactions. They also track funds electronically and work in highly-secured areas. This is one of the better paying hourly jobs at Disneyland. This is what most people envision when they hear the words "work at Disneyland." While not everyone can be Cinderella or Captain Jack Sparrow, some people certainly have what it takes and the entertainment division of Disneyland is frequently swamped with applications. Park characters and other entertainers must go through an audition process, and information on upcoming auditions is available at DisneyAuditions.com. You can find out pay scales and more about Disneyland jobs by visiting their official employment website. Disneyland employees get a few perks outside of their regular paycheck. Each person employed by Disney is allotted a certain number of times they can "walk in" a friend or family member, providing them with the chance to enjoy Disneyland for the day free of charge. There are also employee discounts at restaurants and stores, and these vary by percentage depending upon your employment status. Some Disney workers also get to help "test" the new rides before they are opened to the general public, including occassional premiere parties and sneak previews of upcoming shows and attractions. Finally, for the die hard Disneyland fanatic, nothing is quite like working for the park and getting a first hand knowledge of all the behind-the-scenes action. From company parties to seeing the inside of rides without their usual effects after hours, there are plenty of opportunities to explore Disneyland from a whole new perspective. Getting a job at Disneyland is like any other company. You often start in an hourly position and work your way up, or you get an education and enough outside experience to be hired in a management-level and above position. Besides the obvious steps of education and experience, here are some pointers to help you get hired at Disneyland. The more open your schedule, the more likely you are to be hired. New recruits are often expected to work major holidays, and so expressing you are available for whatever whenever, will greatly increase your chances of getting hired. While they have relaxed significantly since the 1950s, Disneyland is notorious for their strict dress code standards. 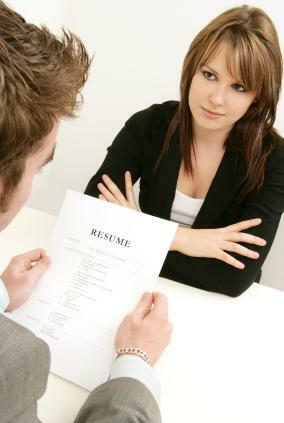 Applying for a job means you should have a clean-cut look that is non-offensive or ceases to shock your interviewer. Remember that you will be playing host to visitors from all over the world, and things must look wholesome and "All American" in many sections of the park. If you work "offstage", then these rules are a bit more relaxed.